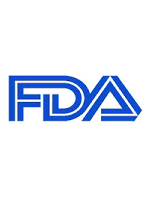 In addition, on May 22, 2017, the FDA approved sarilumab (Kevzara) for the treatment of moderate-to-se­vere RA in adult patients. Approval of sarilumab was based on data from 2 phase 3 clinical trials—MOBILITY and TARGET—of approximately 2900 adults with active, moderate-to-severe RA that inadequately responded to ≥1 antirheumatic drugs (eg, methotrexate). The use of sarilu­mab plus disease-modifying antirheumatic drugs (DMARDs) led to significant improvements in these patients. The most common adverse re­actions associated with the use of sarilumab in combination with DMARDs are neutropenia, increased alanine aminotransferase, injection-site erythema, upper respiratory infections, and urinary tract infections. Because sarilu­mab can lower the immune system’s ability to fight infections, patients receiving the drug are at increased risk for serious infections (eg, tuberculosis) that can lead to hospitalization or death.